Dark, Dark Dark Tales … And Other Dark Tales! Dark Dark Dark Tales offers a second collection of off-kilter, gothic-tinged audio theater by Judson Fountain, the "Ed Wood, Jr. of radio drama." Fashioned in the style of 1940s old-time radio plays, these recordings were produced and written by Judson in New York during the late 1960s and early 1970s and released on vinyl LP in limited editions of unknown quantity. Original copies are extremely rare and highly collectible. They are also divinely entertaining. As on its predecessor, the 2004 Innova release Completely in the Dark, Judson delivers most of the voices, including his trademark old hags, young punks, creepy thugs, and hapless thieves. These simple morality tales are highlighted by spooky noises provided by needle drops from the classic Elektra Sound Effects Library. Judson's erstwhile sidekick, the avuncular Sandor Weisberger, serves as announcer and occasional leading man. 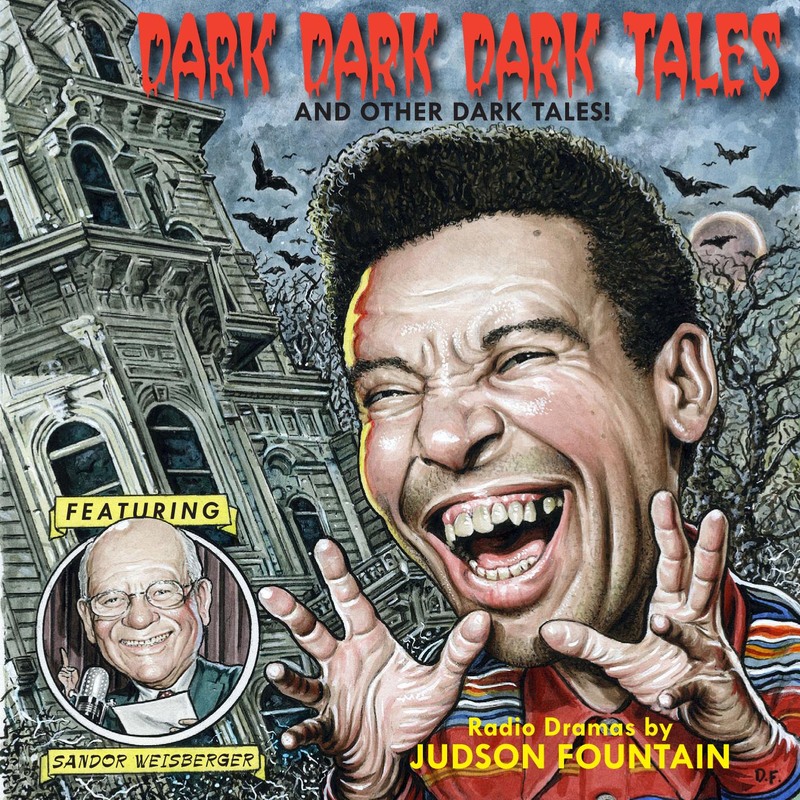 In addition to seven Judson dramas released on CD for the first time, Dark Dark Dark Tales offers a new radio drama, The Nasty Roomer, written by charter “Fountainhead” Don Brockway specially for Judson and Sandor's reunion appearance on WFMU radio in 1995. In a one-take, live sight-reading, the old friends acted their parts with élan and recaptured the atmosphere of their vintage recordings. Judson's work embodies all the peculiar qualities (and, some might say, charming flaws) of outsider art. That it has attracted a cult following over the years is not surprising, as there's nothing quite like a Judson Fountain drama. Turn off all your lights, and be completely in the dark dark dark!